As we complete this episode, trial is about to begin for the NATO 3, Chicago anarchists facing domestic terrorism charges after being entrapped by informants during a 2012 protest summit. To understand the case and its context, the Ex-Worker explores the state's strategy to repress anarchists and social movements through the use of conspiracy charges and entrapment. We interview three activists from the front lines of anti-repression work: a member of the NATO 3 support team, a volunteer with the animal liberation counter-information collective Bite Back, and an anarchist supporter of the Almighty Latin King and Queen Nation. Our review on the Chopping Block examines Green is the New Red: An Insider's Account of a Social Movement Under Siege while more listeners write in to share what anarchism means to them. News across the world includes anarchist typhoon relief efforts, Indiana prisoner resistance, and Christian anarchists striking back against sexism. A brief discussion by political prisoner Veronza Bowers, Jr. about repression against the Black Panther Party and an announcement from an organizer with Everglades Earth First! round out one of our most action-packed episodes to date. Check out the NATO 3 Support website to stay posted on the latest developments in the trial happening now in Chicago. Please come out to support them in the courtroom if you’re able, though be sure to read through these courtroom restrictions from the Cook County Sheriff’s Office. Keep tabs on the struggle of prisoners in Westville Correctional Facility in Indiana for decent food via Rififi Bloomington. Upcoming events include animal liberationist and former political prisoner Rod Coronado’s speaking tour around the northwestern US, “The Day We Fight Back Against Mass Surveillance” actions on February 11th, and the Earth First! Winter Organizer’s Conference, hosted by Everglades Earth First! Our discussion of state repression strategy included an excerpt from the CrimethInc essay “Bounty Hunters and Child Predators: Inside the FBI Entrapment Strategy,” and drew heavily from the piece “The Age of Conspiracy Charges”. Some of the other notable conspiracy and entrapment cases we discussed include the RNC 8, the entrapment of three young activists by snitches Brandon Darby and Andrew Darst at the 2008 RNC protests, the Cleveland 4, the Gulfport 7, and the “racketeering” charges levied against two activists against I–69. On the Chopping Block, we reviewed Green is the New Red: An Insider’s Account of a Social Movement Under Siege by Will Potter. Security culture refers to the norms that anarchists and radicals subject to state repression adopt to stay safe and minimize the threat of infiltration. To learn more about security culture, we recommend “What is Security Culture?”, “Towards a Collective Security Culture”, “Stay Calm: Some Tips for Keeping Safe in Times of State Repression”, and “Donny, Don’t!”, the hilarious security culture puppet show by the Mysterious Rabbit Puppet Army. Find out what to do “If An Agent Knocks” from the excellent Center for Constitutional Rights pamphlet, and also find out “What You Should Know About Grand Juries”. Info on electronic and computer security for activists can be found from the Riseup Collective, the Surveillance Self-Defense page of the Electronic Freedom Foundation, and “Security in-a-box: tools and tactics for your digital security”. Of course, following security culture practices cannot protect us entirely from the risk of surveillance or informants - but don’t let that intimidate you from taking action! Understand the risks you’re taking and do your best to keep yourself and your community safe. The Conspiracy Tour traveled the US in summer 2010, giving presentations to radicals on state repression, conspiracy trials, and security culture. Their website includes plenty of helpful resources. To learn more about the Almighty Latin King and Queen Nation and their repression in Greensboro, NC, check out the Negate City zine Guilty County. For a brilliant analysis of the FBI’s use of RICO legislation as a tool of repression, don’t miss The FBI is a Racket and a Menace: History and Commentary on RICO, the FBI’s Most Weaponized Litigation Tool. Caroline from ALKQN Support also referred to the zine Three Positions Against Prisons and the Chapel Hill Prison Books Collective blog. 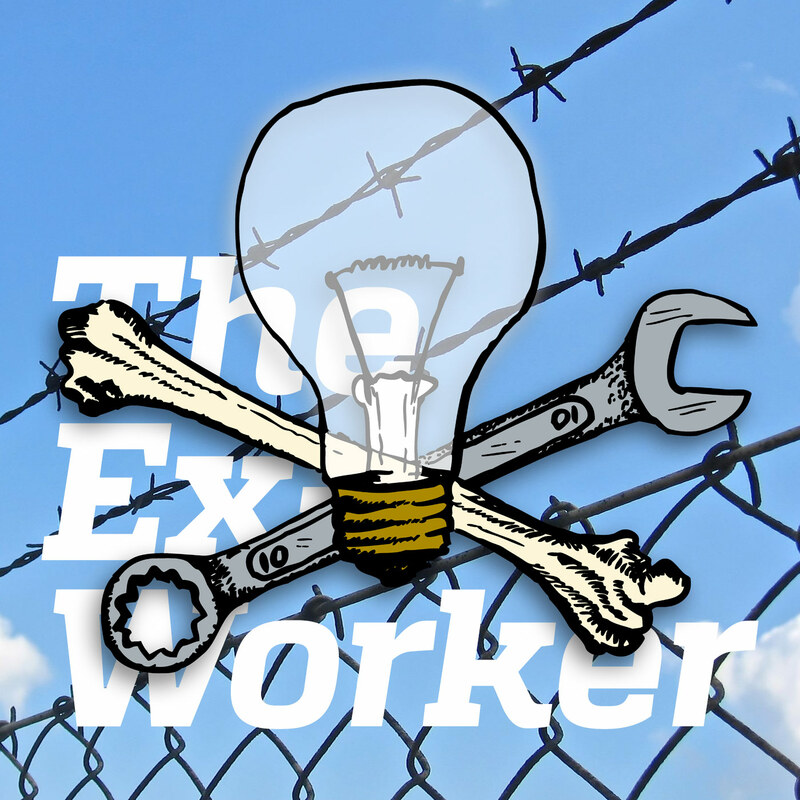 We discussed the Green Scare in Episode 3 of the Ex-Worker. Here are some links to learn more about the SHAC 7, Daniel McGowan, Eric McDavid, and Marie Mason (whose birthday is coming up soon – see below). The Solar Guerilla Autonomous Response Team of the Mobile Anarchist School is launching a third mission to the typhoon-hit region of Leyte in the Philippines. You can read here about the first and second missions that have taken place. Our interviewee from Bite Back referenced the websites The Final Nail and Coalition Against Fur Farms as sources of information about the fur industry and resistance to it. One listener wrote in with information about radical nun Sister Malgorzata Chmielewska. You can hear the full recording of the 2002 interview with Veronza we sampled in the episode here.